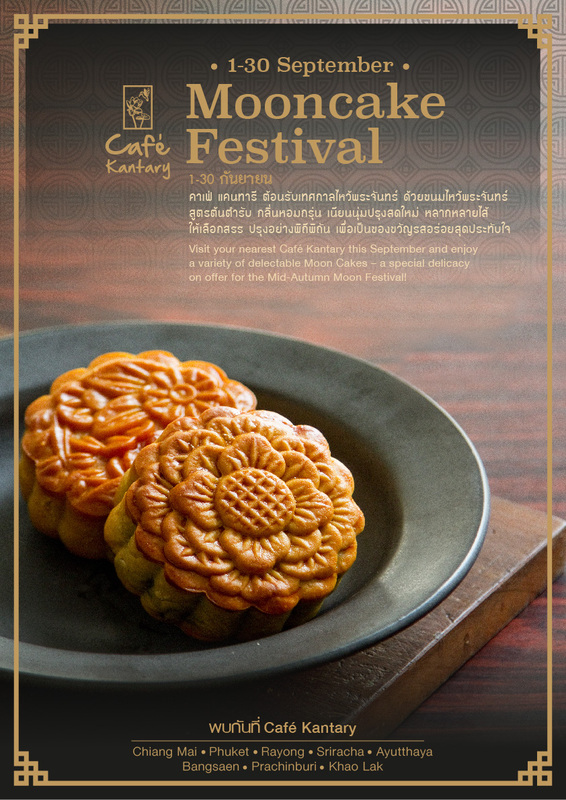 Visit your nearest Café Kantary this September and enjoy a variety of delectable Mooncake – a special delicacy on offer for the Mid – Autumm Moon Festival. Valid from 1-30 September, 2015 and available at all Café Kantary locations Chiang Mai, Ayutthaya, Rayong, Khao Lak, Phuket, Bangsaen , Prachinburi and Sriracha. วันที่ 27 สิงหาคม 2558 เวลา 13:41 น.